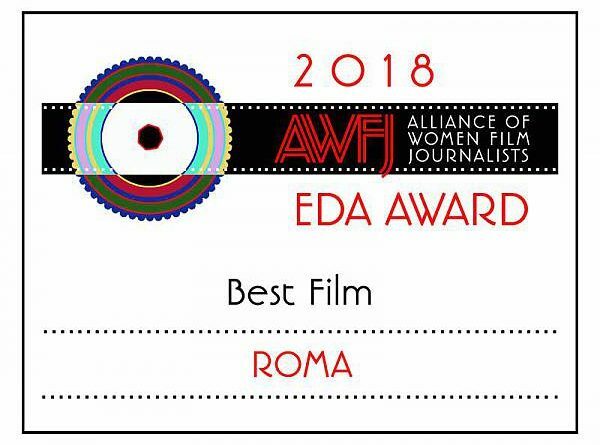 For this year’s EDA Awards, AWFJ members singled out films telling stories centered around strong and complex female characters from diverse backgrounds. We have honored the excellent work of female directors and screenwriters. And, as is our custom, we have called out some egregious choices and behavior that we hope will not be repeated in the future. In the final count, Roma won the most EDA Awards — five of them — including Best Film, Best Director, Best Cinematography, Best Editing and Best Non-English Language Film. Next in ranking is The Favourite, with EDA Awards for Best Actress and for Bravest Performance going to Olivia Colman and Best Woman Screenwriter and Best Screenplay Original going to Deborah Davis (with the latter prize shared with co-scripter Tony Mcnanara). Then there is Can You Ever Forgive Me? with three EDAs, including Best Woman Director for Marielle Heller, Best Actor in a Supporting Role for Richard E Grant and Best Screenplay, Adapted for Nicole Holofcener (with Jeff White). Our vote for Best Actress in a Supporting Role went to Regina King for If Beale Street Could Talk, and our award for Actress Best Defying Age and Ageism went to Viola Davis for Widows. Jennifer Lawrence‘s Red Sparrow turn earned her this year’s Actress Most in Need of a New Agent Award. But we applauded the Black Panther cast and Casting Director Sarah Finn our EDA Award for Best Ensemble. 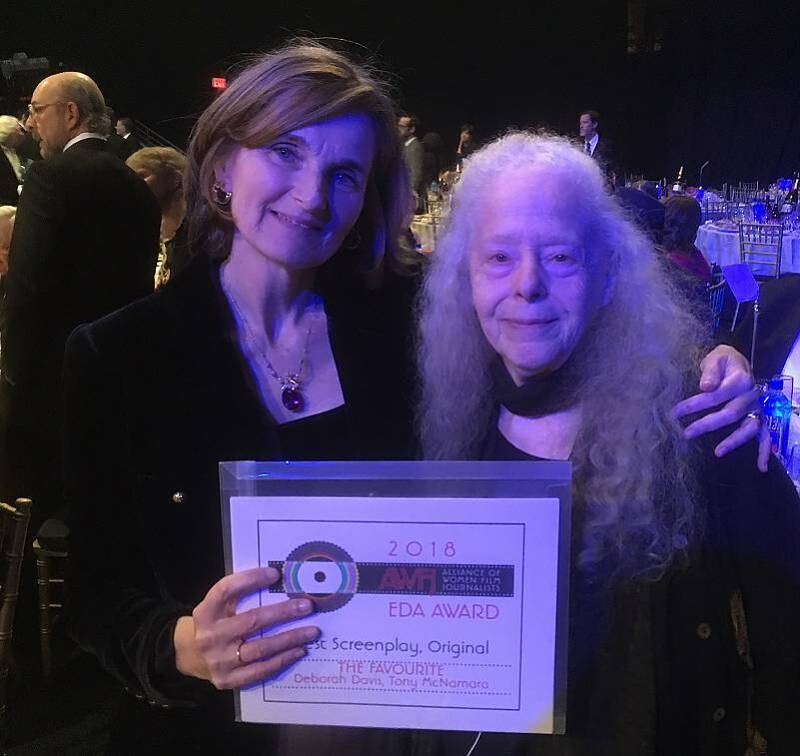 And, Black Panther cinematographer Rachel Morrison was recognized for her Outstanding Accomplishment by a Woman in Film Industry– for her exceptional shooting on the Marvel blockbuster and for for being the first female cinematographer to be nominated for an Oscar (for her work on Mudbound). All in all, 2018 produced a bumper crop of very fine female-directed and female-centered films. You’ll find ten of them listed as nominees for this year’s Best Woman Director EDA Award. Unfortunately, too few of these truly watch-worthy films reached the mainstream, and their title’s have not appeared on many other voting group’s awards ballots. 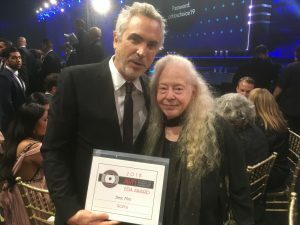 But we hope that AWFJ and the EDA Awards can help to rush these films and other fine indie-made femme-helmed flicks into the current.